the Makerie: the makerie sewing goodie bags! the makerie sewing goodie bags! 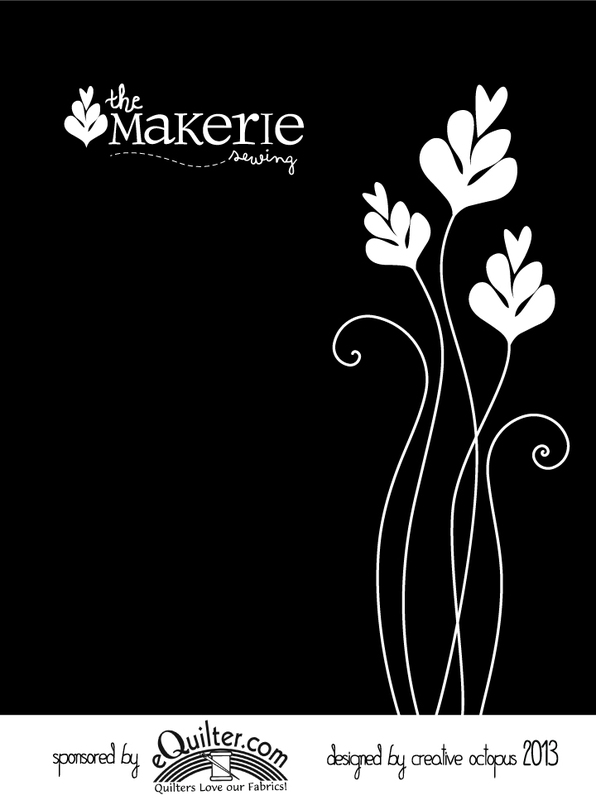 We are so excited to announce Briana Tomlin as our Makerie Sewing goodie bag designer for 2013! Similar to last year, we ran a contest in the Art and Business of Surface Pattern Design e-course, which I took last year and loved! Once again, we were blown away by the talent and gorgeous entries which made for quite a tough decision. We asked Briana to share a few words about herself and her winning design. "A wanderer at heart, I enjoy collecting inspiration from all over the world and returning to my little studio in northern Canada to create graphics, patterns and designs. Many of my designs are inspired by nature, especially flowers, animals, and sea life. 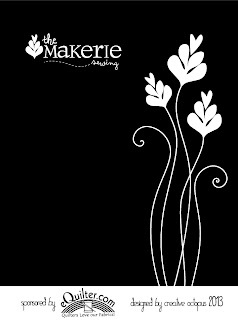 I was inspired by the Makerie design brief as I enjoy using clean, simple lines to create modern, organic designs. The Art and Business of Surface Pattern Design has been a source of never-ending inspiration and my mind is constantly swimming with ideas. I have big dreams and schemes for my designs and hope to see my designs on fabrics, home wares, stationary and clothing. I am absolutely thrilled to have my design featured on the Makerie Goodie Bag!" We are so excited to be part of Briana's budding pattern design dreams and can't wait to see it on our bags. A sincere thank you to everyone who took part in the contest and to Beth & Rachael for supporting this fun design challenge once again. In addition to the fabulous design, we are thrilled to announce eQuilter as a sponsor of this year's Makeire Sewing bags! Their wonderful company happens to be right in our own backyard and I had the privilege of touring their amazing operation a few months ago. It's any sewer's dream to wander their fabric filled, color coordinated warehouse! I loved my visit and especially seeing first hand how they package each order with such thoughtfulness and care. We are so grateful for their wonderful support and make sure to take a peek at their plentiful and incredible array of offerings. They generously donate 2% of sales to charity! Happy Friday and here's to a fabulous weekend! our 2013 makerie sewing scholarship winner! meet the playful, fabulous jennifer mercede!